We are in love with traveling! We take you around the world! John Cajuda is well known by his travel blog . He is passionate by the world, travel , people, new cultures and flavors ... Since childhood that he is fascinated by the unknown ... and soon realized that he was born to explore. Prefers the jungle or the desert beaches to the massive tourism of big cities. 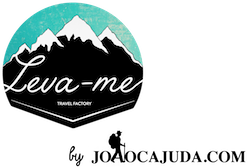 In 2014 he created his travel blog , joaocajuda.com and since then he goes abroad in a constant pursuit of enjoying life. He likes to capture moments and landscapes through his camera and to share its essence in videos and photos . Nowadays, almost half a million people follows his adventures around the world on social networks. 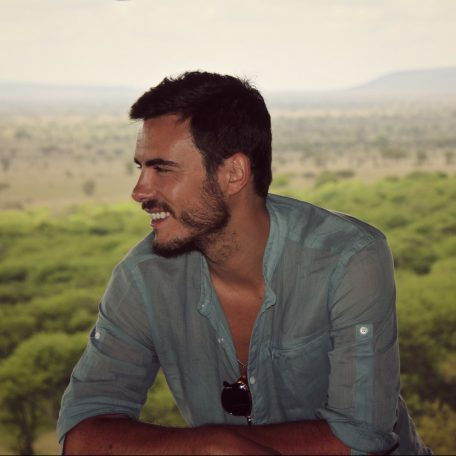 He is also a Tour leader and takes travelers to get to know his favorite places on the planet, always with the fun and relaxed vibe that you already know. Mariana graduated in Tourism, because early on realized that was an area that fascinated her. She studied and worked in many countries besides Portugal, like Sweden,Spain, United States...among others. Those experiences have allowed her to get to know many different Tourism departments, from theme park, hotels to aviation. In the last years, working as a flight attendant she visited many places and found out her biggest passion, to travel! Whenever it's possible she puts her backpack on and go explore even more countries. She is an adventurer by nature and is up to any challenge. Last year for example went climbing Kilimanjaro. Discover new places, new people, new cultures is what makes her more happy. She loves to have fun, to dance and most of all to share with a big smile the beautiful things she already saw. Nowadays she's a Tour Leader at Leva-me.....travel with her is to have good energy guaranteed! Our tours are organized to show the best of each country to the travelers. Small groups are the best way to create a confortante atmosphere and to make friends. The trips are not only the places, but also people. moments… It doesn’t matter if you sign up alone, we are sure you will come back with 20 more friends! This trip is for people who like to have fun and make friends, regardless of age. We are sure that if you come with a relaxed mind you’ll have an unforgettable week. It is important to understand that this is an adventure trip, and so, it is always unforeseen. Traveling in Morocco is not like going to the Four Seasons in Paris … the internet can have weak sign or not work, the air conditioning can break, the shower can not come out with so much pressure and hot as in your house, etc. .. also, unfortunately good weather is not guarantee, sometimes it rains, snow falls, there are sandstorms and it is important that you know that there may be changes in the itinerary. what it would be a trip without some adventure ?! If you are inviting a friend to join the tour is essential to show this information. All we do not want is a cranky traveler who has been “dragged” by its friends spoiling the fun and relaxed energy of the group. These are trips that go beyond the ordinary. We will show you the most incredible places, the most typical food…We’ll take you to get to know the culture and daily life of a new people, a new country. Always with the fun and relaxed spirit that you already know. We want you to be curious, to awake your adventurous side… to explore the corner of the city and define new paths. We want to inspire you! We want you to fall in love with the World! We want you to feel alive! We want you more tolerant, with extended horizons, to see beyond the obvious, to lose and find yourself…We want you to go back home and realize that nothing change except you!